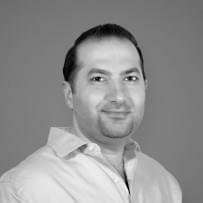 VoIP has certainly created a ton of buzz in the IP world. There are many factors to consider when switching to a VoIP phone system. One of the most common concerns for business owners when switching to VoIP, is What kind of quality to expect when using a business VoIP phone system? For most business owners, reliability and quality are two of the main concerns. Previous perceptions have gradually changed as present technology has substantially improved and streamlined the processes in VoIP. 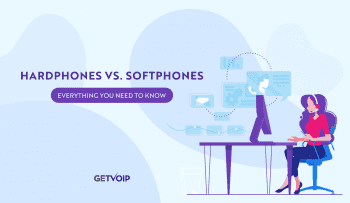 Here are some of the possible issues to look out for that may affect the reliability and quality of you VoIP system..
Bandwidth – The internet connection is the main factor that affects the quality of voice calls through VoIP. Even though internet speeds have greatly improved over the last few years, there are still areas wherein internet connection is still slow and the bandwidth is congested. A high quality voice call needs unlimited and constant bandwidth. Equipment – The type of VoIP equipment that you use is also another major factor when it comes to having a reliable and quality VoIP call. It is necessary that the proper equipment is used to suit the needs of an organization. Gathering information about Analog Telephone Adapter (ATA), router and IP phone is very important. Weather Conditions – Severe rainstorms, thunderstorms and strong gust of wind could affect the quality of VoIP calls. Voice calls can be hampered by “static”, which is a static electricity created on broadband lines during bad weather conditions. Static is not noticeable when you just surf the net, but is very annoying when you hear it in your voice calls. Static can be resolved by power-cycling the ATA, router or IP phone. This is relatively a short term solution since weather disturbance could happen most of the time and you don’t have any control over it. There are a number of ways to improve the quality of VoIP systems. Properly configuring your VoIP telephone system could improve the quality of the call and manage the overall traffic. This process is called Quality of Service (QoS). Here are the different factors to manage the QoS of VoIP. Classification and Marking – Differential Services (DiffServ) is the most common method in QoS classification and marking. The main concept of DiffServ is to identify and classify traffic coming through the device. The traffic can be classified as voice data or data traffic. When the traffic is classified, it is then up to the device which traffic is prioritized. Link Efficiency – The objective of this method is to minimize delay. This can be done by breaking up large packets into smaller packets so they can be easily processed. Commonly used methods are IP header and payload compression. Congestion Management – Massive amounts of traffic could greatly impact the quality of voice calls. Congestion management tries to control traffic by effectively processing traffic through various methods. The most common methods include FIFO, Priority Queuing (PQ), Custom Queuing (CQ), Weighted Fair Queuing (WFQ), Class Based – Weighted Fair Queuing (CBWFQ) and Low Latency Queuing (LLQ). Congestion Avoidance – Basically, congestion avoidance tries to prevent the onset of congestion. The most common method used is Weighted Random Early Detection (WRED). With WRED, congestion is predicted and when it is about to happen, several packets are dropped to avoid congestion. 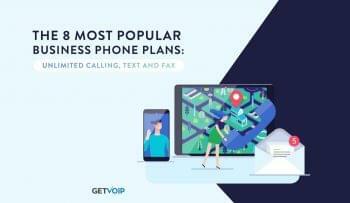 With the all the various methods and technologies available to improve the reliability and quality of VoIP calls, VoIP telephone systems are nearly comparable to a traditional land-line system. When all the favorable factors present, VoIP calls are now much smoother and reliable than it ever was. With constant innovation, it is just a matter of time VoIP systems will surpass traditional phone systems.